While trying to figure out what to bring to the states as pasalubong for my colleagues, friends and relatives, I found the Sorsogon’s Pili Nuts. I took more than a couple. I am proud to give this to my friends and colleagues, prouder that I found it on one of the most popular souvenir ship. 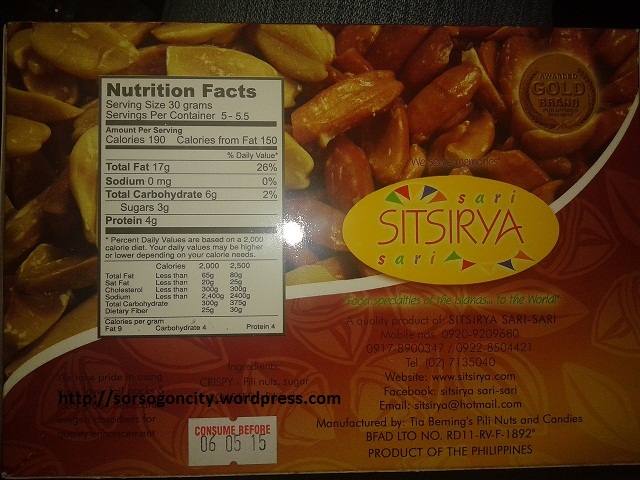 [Front] Sorsogon’s famous Pili nuts is now in the mainstream. I found this at Kultura while looking for pasalubong for my American colleagues. Lo and behold! The Pili snack is courtesy of Tia Berning. [Back] The packaging looks attractive enough. I bought a couple of boxes for a relative in the states. 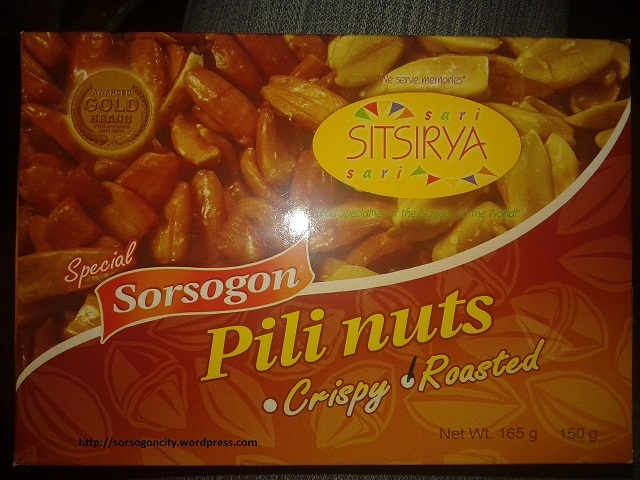 Image | This entry was posted in Economy and Business, Point of View of a Sorsoganon, sorsogon and tagged Pili nut, SM's Kultura, Sorsogon souvenirs, Tiya Berning. Bookmark the permalink.